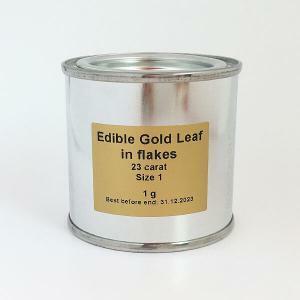 23k Edible gold flakes. Flakes size 2 is a bit grosser than size 1. 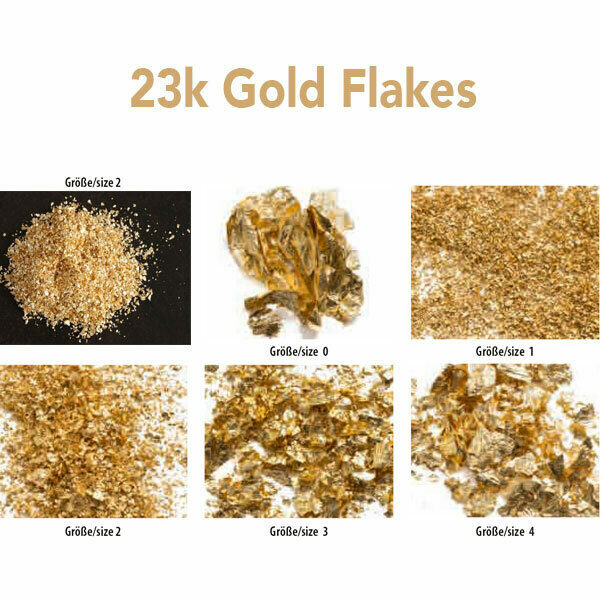 If you want to show the gold flakes in your product then size 2 would provide that luxuriously look of sparkling gold flakes. 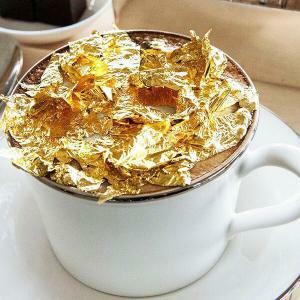 However, some manufactures they prefer size 1 because they want to achieve a soft look of gold flakes which does not compete with their main product’s theme and feel. 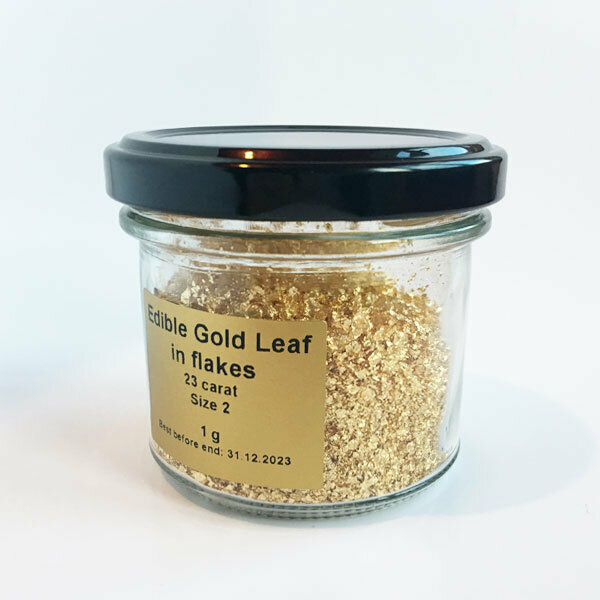 – Content: 1g genuine gold flakes. – Best choice for cake shops, chocolates, honey and cosmetic products manufacturers. 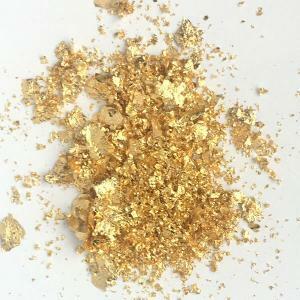 – There is no gold flakes just for cosmetic use. 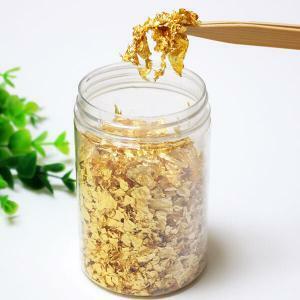 Edible gold flakes is used by cosmetics manufacturers too, because once its edible then surly it can be used for the skin and face. – It can be added to your product in the way you see best for your product. In addition to its packaging, we also use thick cardboard to protect your order and to ensure your order arrive to you in good condition.